Some people like football, others like boy bands. We’re not here to pass judgment, just provide the information. 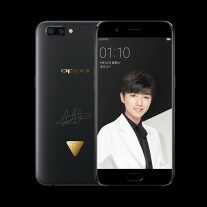 So here it is – the Oppo R11 now has a TFBOYS Edition. Never heard of TFBOYS? It’s a boy band from China formed by TF Entertainment. 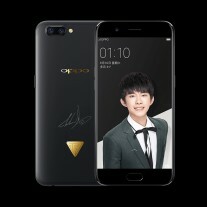 The band consists of three members - Wang Junkai, Wang Yuan and Yi Yangqianxi – so there are three versions of the phone. Each bears the signature of one of the members, above an 18K gold-plated logo of the band. The retail box also features the logo and one of three colors for the “R11” label. The spec sheet is identical – 5.5” AMOLED screen (1080p), Snapdragon 660, 20MP + 16MP dual camera and 3,000mAh battery. The price is the same too – CNY 3,000, while the R11 FC Barcelona Edition was pricier at CNY 3,500. 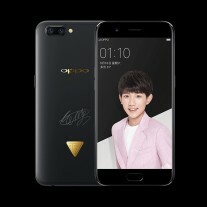 The Oppo R11 TFBoys Edition will be available in limited quantities starting September 15 at 10:00 China time.